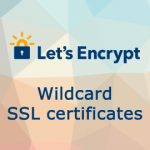 Wildcard SSL certificates are now available for free from Let’s Encrypt in addition to regular SSL certificates. This initiative allows many individuals and companies to adopt more secure HTTPS protocol. 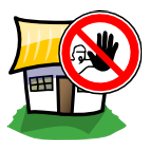 After installing and setting up CentOS 7 I noticed that fail2ban bans/unbans are no longer included in the daily logwatch reports. rackspace-cloudfiles.sh is a bash script that provides command-line interface to Rackspace Cloud Files and includes multi-region support. 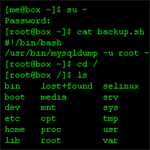 Command shown below displays configuration file and strips commented and blank lines on Unix-like operating system. I already wrote about additional steps required to install UltraMonkey on CentOS with BlueQuartz. Soon after that I have discovered that there is more to do if you want to get a perfect setup. Solution for a problem with duplicate addresses when using UltraMonkey on CentOS 4 with BlueQuarz. When starting ColdFusion for the first time connector wizard cannot configure web server correctly. The ColdFusion 8 server is starting up and will be available shortly. 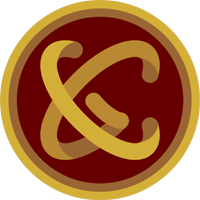 The connector wizard has not been able to contact the local ColdFusion 8, connector installation aborted. ColdFusion 8 has been started. Cobalt RaQ4 was laying around collecting dust so I decided to give it a second chance. Guys from OS Office (http://www.osoffice.co.uk) put together Strongbolt – excellent Linux distribution based on CentOS with Cobalt RaQ support. I wanted to use Cobalt RaQ4 to test highly available and load balanced cluster configuration. However current Strongbolt kernel 2.6.16i586 doesn’t have IP virtual server support and had to be recompiled. Recently I was in the nearest Circuit City store and picked up a laptop mouse. 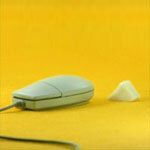 It is a regular mouse with no additional buttons or features. When I saw system requirements printed in fine print on the back of the package, I didn’t believe my eyes at first – 100 MB of free space on hard drive! It is totally unthinkable considering the fact that there is a great chance that Microsoft XP/Vista will support it without any drivers. Where did those days go when developers cared about optimization?